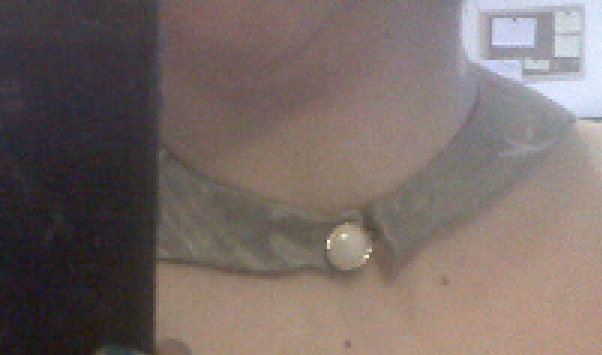 The Peter Pan collars are really big right now, and I really like them. They are lady like and there are loads of very fresh designs out there. And the materials and embellishments options are endless (well..). The prices on them start from somewhere around £7 and can go up to £30 on the high-street shops. The price is not of importance, but I thought it would be really cool to make my own one :) Quite an interesting project to take on. - paper for the patterns. - 2 pieces of approximately A4 size material - your desired colour and material for the top part, and a scrap piece of material you may have for the under-layer. 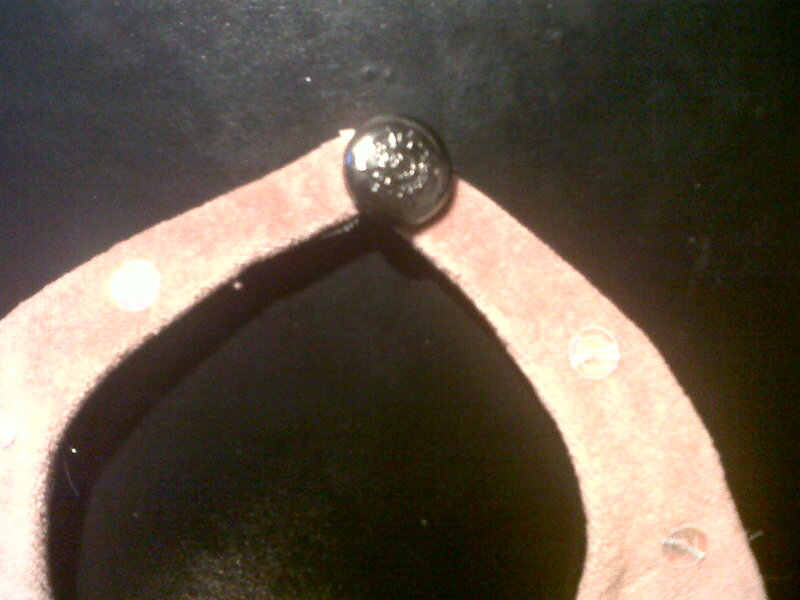 - button and a piece of string (leather) for back closure. - needle, thread, iron, hemming tape, pins, scissors. 2. 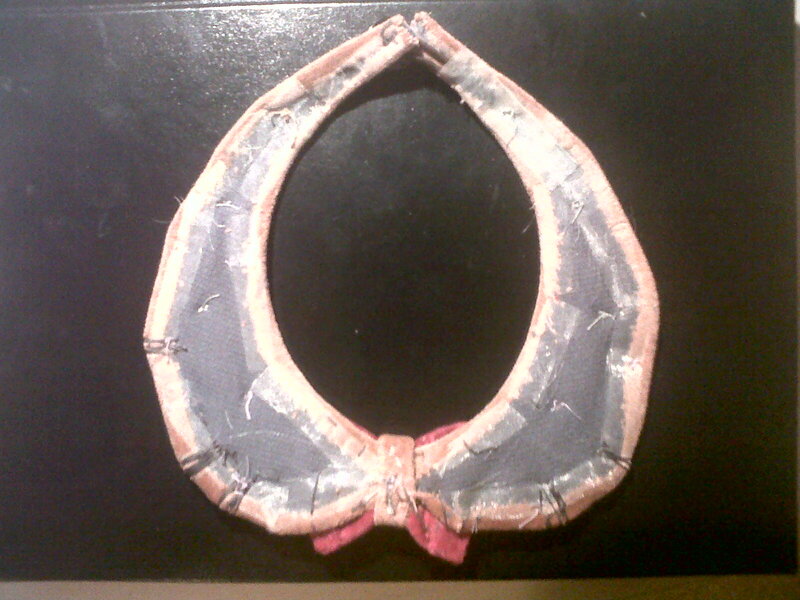 Take your base material and cut the exact shape of the collar pattern on the fabric. For more precision you can fold the patter and the fabric in half and cut both sides at the same time. 3. Take your cover material and cut the pattern leaving an allowance of about 2-3cm. This will help you cover the base material safely. 4. Pin the cover cut out on top of your base cut out. 5. Bend the cover material so that it covers all the base material and looks pretty, and using an iron on a medium to low setting iron it so it retains the shape you created. 6.1 Collar 1 - Sew the shape in place (sew the back edges of the cover material on the base material so the stitching doesn't show on the front of the collar). I did the stitching by hand. 6.2 Collar 2 - Using hemming tape (iron on glueing tape), I secured the edges of the cover material on the base material. 7. 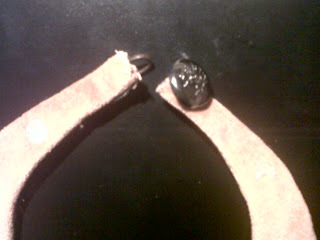 Sew at the edges a button and a fastening system - I used a small leather string I had lying around ;) You can also sew ribbon on each end and tie it at the back to secure. 8. 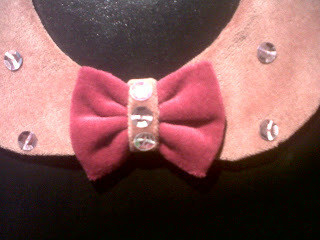 Embellish at will!! 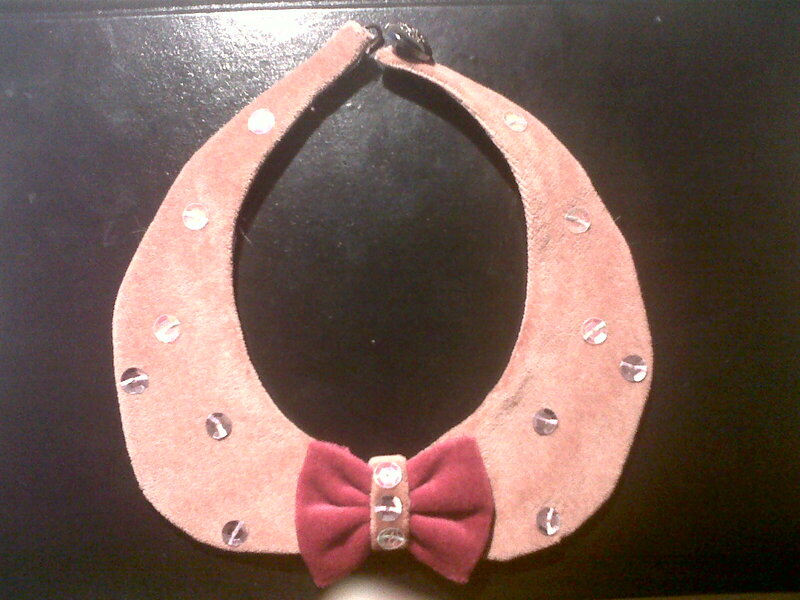 I used sequins, pearl like beads and a bow I made from contrasting colour material. Collar 2 - party time!! The quality of the pics may not be too great, the true to colour for the second collar is on the bow detail pic. Also, since these were already done when I posted this, there are no step by step instructions unfortunately. The bow makes it look so sweet! Hello, din nou. tot ce este pe blog este contributia ta? Hello! am navigat si azi pe blog sa vad noutati. vreau zilnic sa il accesez. succes in continuare. Hi! Arata minunat! As vrea si eu tiparul. Se poate sa mi-l trimiti, te rog?